In the evening on August 24, 1814, British troops led by Major General Robert Ross arrived in Washington after taking casualties but defeating a small American force at nearby Bladensburg, MD. The short version of the story notes that shots were fired at the British, who responded by burning the public buildings in the city before departing the next day. For more, here’s an excerpt from John McCavitt’s article from the upcoming issue of The Capitol Dome. Look out for the full article soon, which includes a new explanation for why the British chose to burn only some of the buildings in the capital. Here, McCavitt discusses who might have fired those infamous shots. [But t]he attack on Ross and his advance guard indicated to the British that the Americans were not going to negotiate. And so the burning began. 1. G.R. Gleig, The Campaigns of the British Army at Washington and New Orleans (1821; 3rd ed., corrected and revised, London: John Murray, 1827), p. 129. 2. T.A.J. Burnett, The Rise and Fall of a Regency Dandy: The Life and Times of Scrope Berdmore Davies, (London: Murray, 1981), pp. 223-25. 4. James Scott, Recollections of a Naval Life (London: R. Bentley, 1834), 3:298; Michael Crawford, ed., The Naval War of 1812: A Documentary History (Washington, D.C.: Naval Historical Center, 2002), 3:220-23; MacDougall letter to Times (London), May 25, 1861. 5. Richard N. Cote, Strength and Honor: The Life of Dolley Madison (Mt. Pleasant, S.C.: Corinthian Books, 2005), p. 303. 6. Walter Lord, The Dawn’s Early Light (New York: Norton’s, 1972), p. 161. 7. “Sketches of Private Life and Character of William H. Crawford,” Southern Literary Messenger 3(April 1837):262-65. 8. Glenn Tucker, Poltroons and Patriots: A Popular Account of the War of 1812 (Indianapolis, Bobbs-Merrill, 1954), 2:553. 9. Lord, Dawn’s Early Light, p. 161. See also Steve Vogel, Through the Perilous Fight: Six Weeks That Saved the Nation (New York: Random House, 2013), p. 168. 10. Tucker, Poltroons and Patriots, 2:553. If you’ve been following our blog for a while then you know we featured a post on this historic naval battle back in April, written by our spring intern, who like many others, had an interest in the naval aspects of the War of 1812. The post, The Naval War of 1812: USS Constitution vs. HMS Guerriere, is a fascinating read and a great way to commemorate this anniversary. Enjoy! To kick off our August Brown Bag series yesterday, which we told you about on Monday, Dr. John McCavitt introduced the audience to Major General Robert Ross and his time in the British Army during the War of 1812, most notably his role in the burning of the federal buildings of Washington, DC in August 1814. It was a very interesting lecture about a man not terribly well known in this country, despite the prominence he held in setting our capital city afire. As such, one of our interns, Patrick McGuire, decided to delve into the topic a bit more for our readers. Enjoy! Major General Robert Ross was an Irish Major General in the British Army who fought in the Napoleonic Wars and the War of 1812. Born in 1766 and graduating from Trinity College in Dublin, Ross joined the British Army and rose steadily through the ranks, seeing action in Italy, Spain, Egypt, and the Netherlands. His early campaigns would show him to be an effective leader and earn him commendations for gallantry and the thanks of the British Parliament. 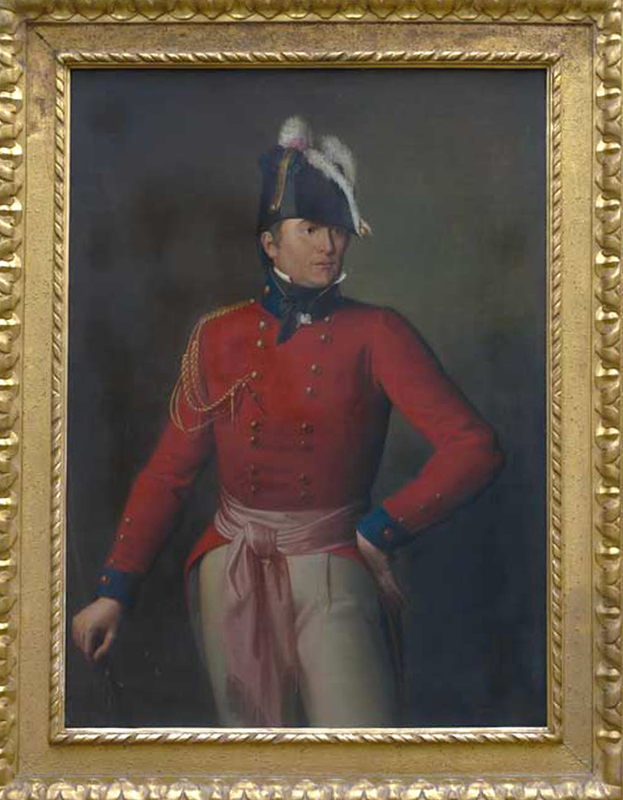 Ross served under the Duke of Wellington and was promoted to the rank of Major General in 1812. Following Napoleon Bonaparte’s first exile to the island of Elbe, Ross was sent to North America in February 1814 with an army of 4500 men. He was dispatched with the intention of uniting the British commands there under Rear Admiral George Cockburn (pronounced CO-burn) and Vice Admiral Alexander Cochrane. Ross assumed command of all British forces on the eastern coast of the U.S. and coordinated with Admiral Cockburn to attack the American capital city of Washington D. C. Ross landed his troops south of DC in Benedict, MD and marched through Upper Marlboro, MD engaging U.S. forces at the Battle of Bladensburg on August 24, 1814. As usual, during the battle Ross led from the front and had his horse shot from under him, though he would suffer no injuries. 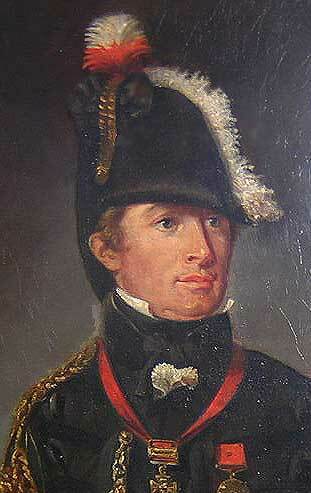 Following the defeat of the American forces under Commodore Joshua Barney, Ross’s men advanced toward Washington. 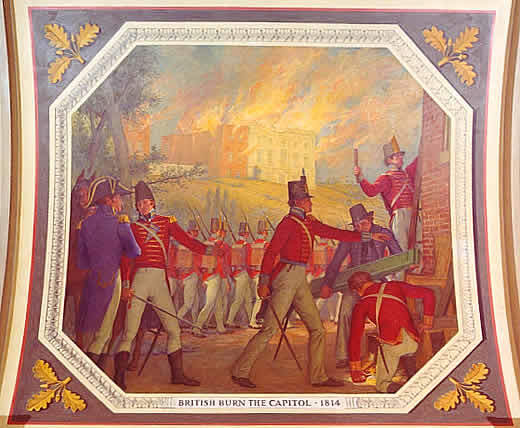 Ross had no intention of destroying DC; however, his troops wanted revenge for the burning of the capital of Upper Canada, York, the previous year. A letter received by Admiral Cockburn–whose flotilla was working its way up the Potomac River–from the Governor General of Upper Canada, Sir George Prevost, detailed recent American actions including the burning of several settlements along the frontier, prompting Ross and Cockburn to take action against American government property in retaliation for the burning of their own capital. Ross was still unwilling to allow the total destruction of the city or the harming of civilians and sent Lieutenant Colonel Sir William Pringle forward with 100 men to ensure that no unauthorized British forces were in the city and to ensure the safety and well being of the civilians. On their advance to the city on August 26, 1814, the British encountered little resistance, although, Ross would have another horse shot from under him. He issued orders to only burn public buildings such as the White House and the Capitol and to leave private property alone, resulting in little of the city being burned. It is important to note that had a surprise rainstorm not rolled through the District to extinguish the fires prematurely, the Capitol and all the buildings set ablaze that day would have been more severely damaged. The destruction of Washington led to outrage among Americans and praise among the British; Ross was subsequently persuaded to advance north to attack the heavily fortified city of Baltimore. Major General Ross’s men boarded their transports on the night of August 26th and landed at North Point beach on September 12th. The next day, Ross was riding among his forward troops who had stopped to eat breakfast when they came under attack by 230 American regulars. Ross received two wounds in his left arm and the left side of his chest. He was shot by Private Daniel Wells and Private Henry McComas who also died in the engagement. Ross died almost instantly and, despite his reputation as the man who burned Washington, he was regarded with respect by the Americans who fought him. Wednesday marks the beginning of August, which means it is the start of our month of weekly lunchtime lectures that take place every Wednesday in August. The lectures are a nice break from the usual chaos of the day and will be covering a range of issues within Capitol history. Best of all they are all free and open to the public so come on down and join us! Starting things off for us this week is Dr. John McCavitt, Visiting Research Fellow, School of History and Anthropology, Queens University Belfast and Fellow of the Royal Historical Society. Dr. McCavitt, a native and resident of Northern Ireland, will deliver his lecture titled, Major General Robert Ross and the Burning of the Capitol, which not surprisingly focuses on Major General Ross, who hailed from the same small town in North Ireland as McCavitt, and his capture of Washington, DC and the subsequent burning of the Capitol during the War of 1812. The fun begins at noon at the offices of Express Scripts at 300 New Jersey Ave. NW, Suite 600. Next up, on Wednesday, August 8th, we have Charles Johnson, the former House parliamentarian who will be speaking from 12:30-1:30pm in room 122 of the Cannon House Office Building, on his experiences in that role and how the procedures of the House have changed over the last fifty years. The following week, on Wednesday, August 15th, the Curator of the Capitol, Barbara Wolanin, will be on hand to deliver a lecture about the recent Brumidi restoration, as well as the revitalization of Brumidi’s reputation that culminated in the Congressional Gold Medal that was just recently awarded posthumously to him. That lecture will also take place in Cannon 122, but will begin at noon. Rounding things out for the month are Senate Historian Don Ritchie on Wednesday, August 22nd, and our own Don Kennon, V.P. of Scholarship and Education, on Wednesday, August 29th. Dr. Ritchie will be delivering his lecture titled, The Senate Since the Sixties: The Transformation of a Traditional Institution, which will take place in the Russell Senate Office Building in SR-188 at noon on the 22nd, while Dr. Kennon will be speaking about our 50th anniversary here at the Society with his lecture, Fred Schwengel and the Founding of the U.S. Capitol Historical Society in 1962, taking place at noon on the 29th here at the VFW building on the corner of 2nd and Maryland Ave. NE. If you are interested in attending one or all of our lectures–and we hope you are–please contact us with any questions and to RSVP at uschs@uschs.org or by calling (202) 543-8919 x38. Again, these lectures are free and open to the public. Be sure to visit our website for more information about these and other Society events, as well as membership information. “Be it enacted by the Senate and House of Representatives of the United States of America in Congress assembled, That war be and the same is hereby declared to exist between the United Kingdom of Great Britain and Ireland and the dependencies thereof, and the United States of America and their territories; and that the President of the United States is hereby authorized to use the whole land and naval force of the United States to carry the same into effect, and to issue to private armed vessels of the United States commissions or letters of marque and general reprisal, in such form as he shall think proper, and under the seal of the United States, against the vessels, goods, and effects of the government of the said United Kingdom of Great Britain and Ireland, and the subjects thereof. The congressional vote for declaring war was far from unanimous. No Federalist member voted for the measure, which divided on party lines with Democratic-Republicans favoring war with the Federalists in opposition. Similarly, the vote divided along regional lines as Federalists in New England the Middle Atlantic states opposed the war, whereas Southern and Western members favored going to war. Historians typically point to four main reasons for the declaration of war. First, the British Orders in Council during the Napoleonic wars prohibited U.S. trade with France, which Americans considered a violation of international law. Second, the British Navy adopted a policy of impressing sailors from U.S. ships for service in the British fleet. 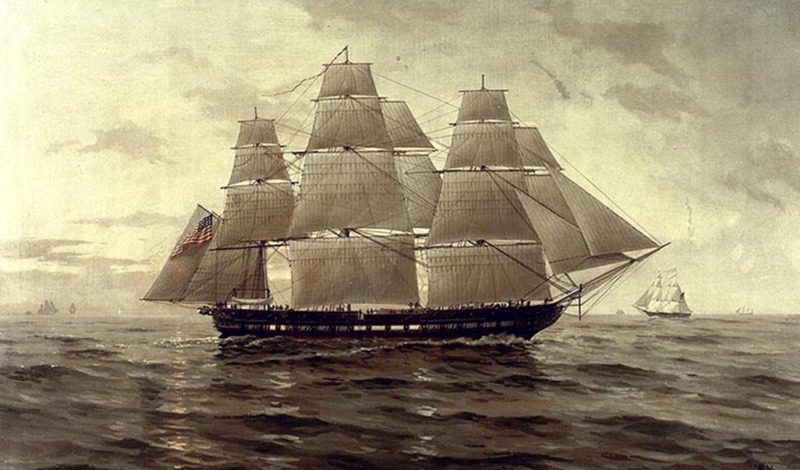 In one embarrassing incident in 1807 the HMS Leopard attacked and boarded the American frigate USS Chesapeake and seized four sailors under the pretext that they were British deserters. Third, British forts in Canada and along the northwest border with the United States provided arms and support for American Indians in their opposition to U.S. expansion, particularly the Shawnee Prophet and his brother Tecumseh in their war against American settlers. Fourth, the rise of a faction of anti-British and pro-war members of Congress from the west and the south, known collectively as the War Hawks, drummed up support for war. 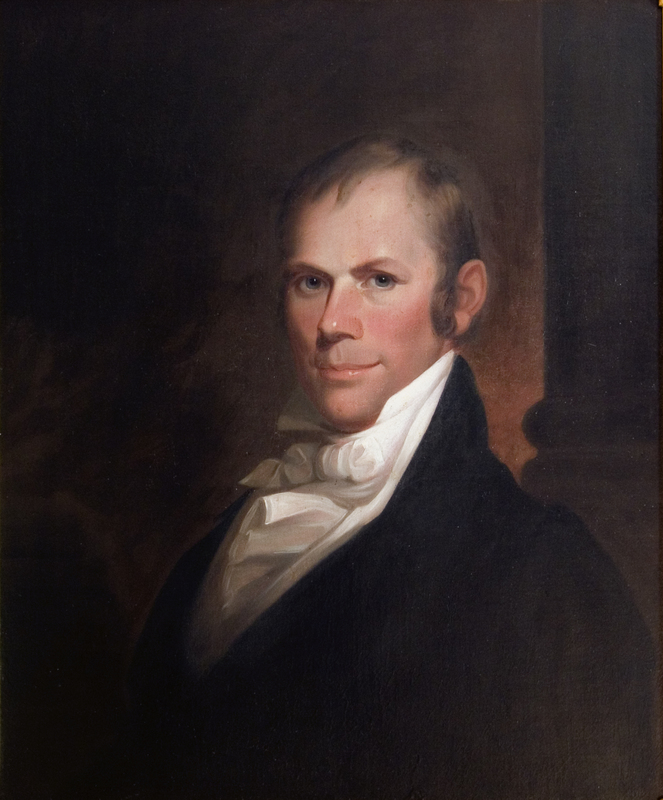 The most notable War Hawks became influential political leaders for decades to come, including Henry Clay and Richard M. Johnson of Kentucky; Felix Grundy of Tennessee; and John C. Calhoun, Langdon Cheves, and William Lowndes, of South Carolina.